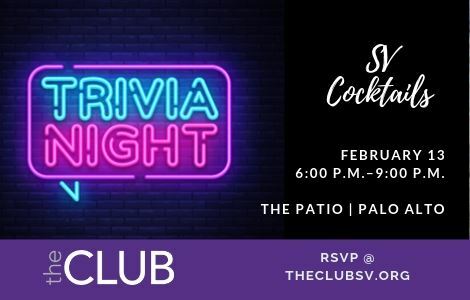 Come join us for trivia at The Patio in Palo Alto! There’s no cost to attend, but everyone will please pay for their own drinks and food that they order. Please rsvp to us if you can attend, and we try to get a table big enough to accommodate everyone. It’s really fun! Fast paced and a range of topics. We hope you can join us!